The second core research laboratory of the CARE is the “Driving Simulation Laboratory”, which shares a commitment to advance driver safety through applied research. 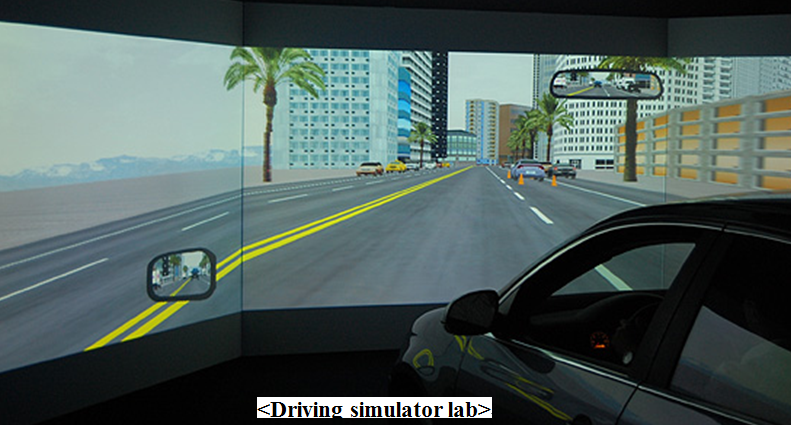 The “Driving Simulation Laboratory” is a collaborative product between FIU’s College of Engineering and Computing (CEC) and the Nicole Wertheim College of Nursing & Health Sciences (NWCNHS) dedicated to the applied research for driver rehabilitation & safety for drivers of all ages. The Driving Simulation Laboratory builds upon the research conducted by the Lehman Center for Transportation Research (LCTR) and CARE in NWCNHS. The driving simulator is the STISIM Drive Model 400 with Car Conversion Kit. It is a high-fidelity driving simulator which interfaces with an actual automobile, and which provides a realistic setting for an innovative applied driver safety research. The interactive driving simulator has a 135-degree driver field of view and it is integrated with an active steering and pedal system. The driving simulator provides opportunities for more effective rehabilitation therapy research to improve the safety and life quality.